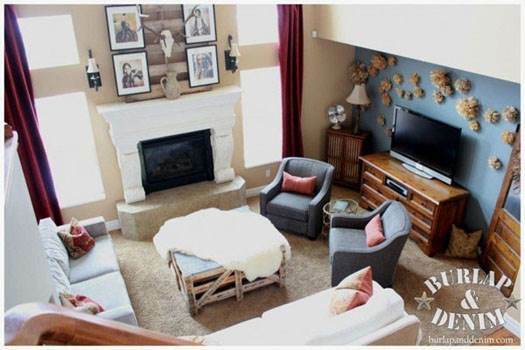 Don't let those old wooden crates sit and collect dust in the attic. 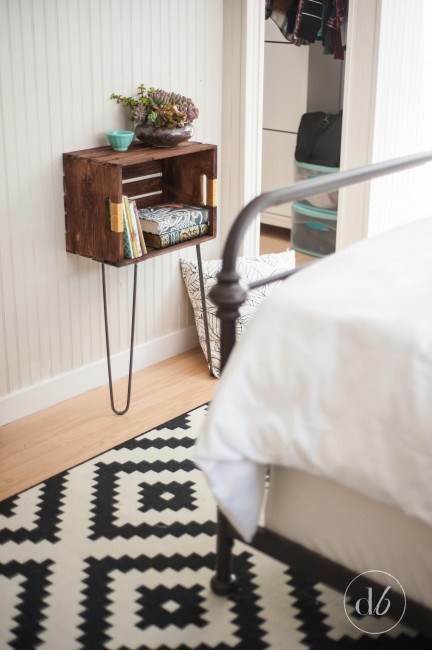 Today, savvy decorators are repurposing wood crates to create fun and attractive furniture and accent pieces to perk up almost any room in the house. 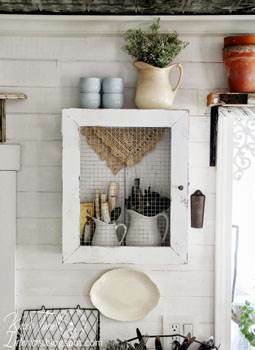 Add an eclectic touch to your kitchen with a soda crate spice rack or a repurposed dog feeding station. Go boho with a wooden crate side table or ottoman. 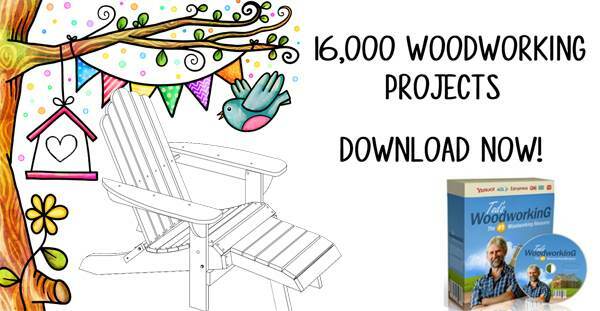 You'll find tons of fun and useful plans to upcycle those unused crates, and they come with all the instructions and diagrams you need to build a fast and simple addition for your home. 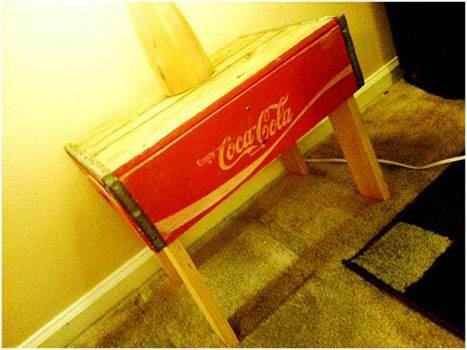 This project took a Coca-Cola crate and made it into a water bowl and dog food bowl holder that looks great. 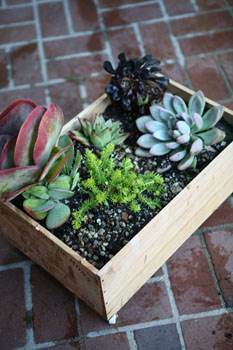 It's so easy to decorate with vintage crates such as placing potted plants in them for added decorations inside or out. Old crates are knocked down to make one long coffee table and the X-legs are re-purposed luggage stands. 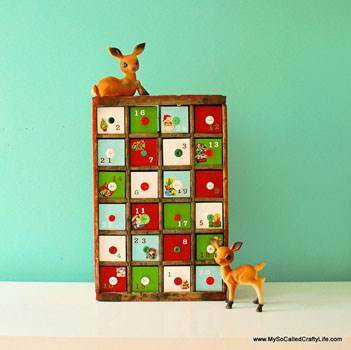 Make the holidays even more special with a advent calendar made out of a soda crate and some buttons and holiday seals. Find easy to follow instructions along with images to help you create this simple breakfast tray with the word breakfast written on the top. 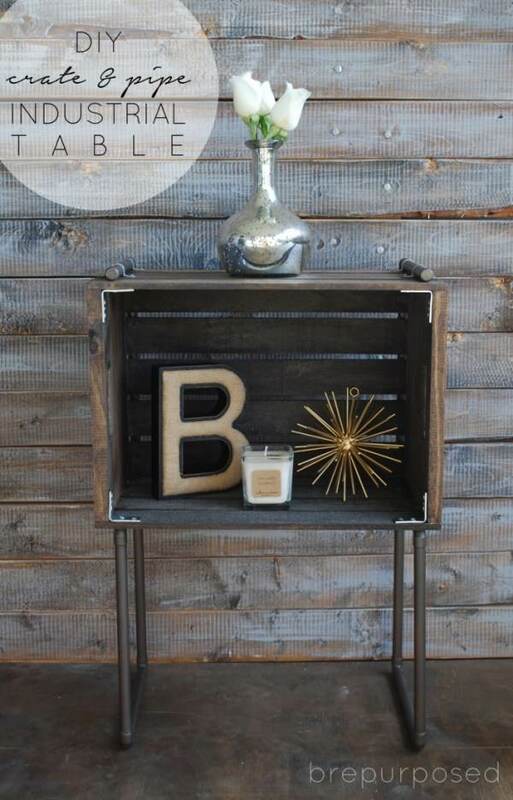 Two bushel crates are joined together then painted for a unique end table with open storage or display area. 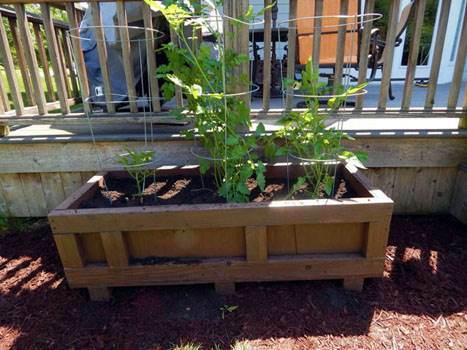 Here are instructions on how to re-purpose a wine crate by turning it into a planter in little time and with little money. 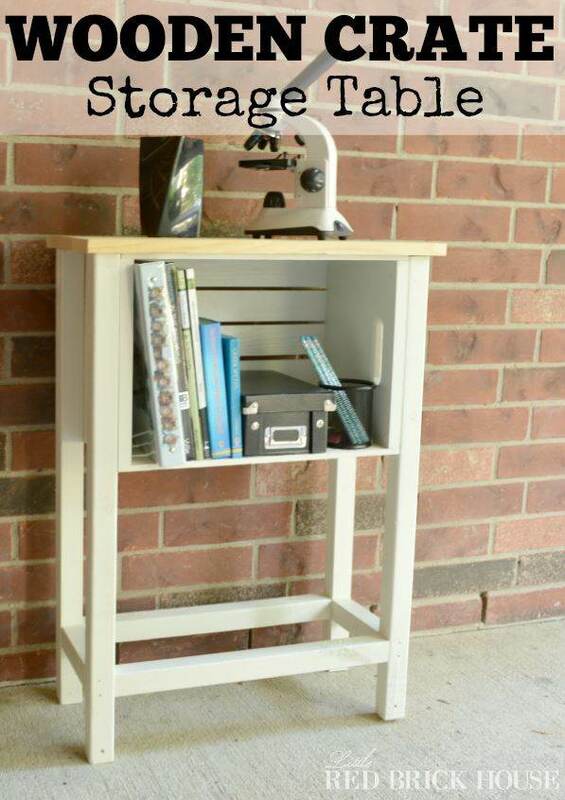 Create a functional and good-looking storage table using a wooden crate and this step by step woodworking plan. 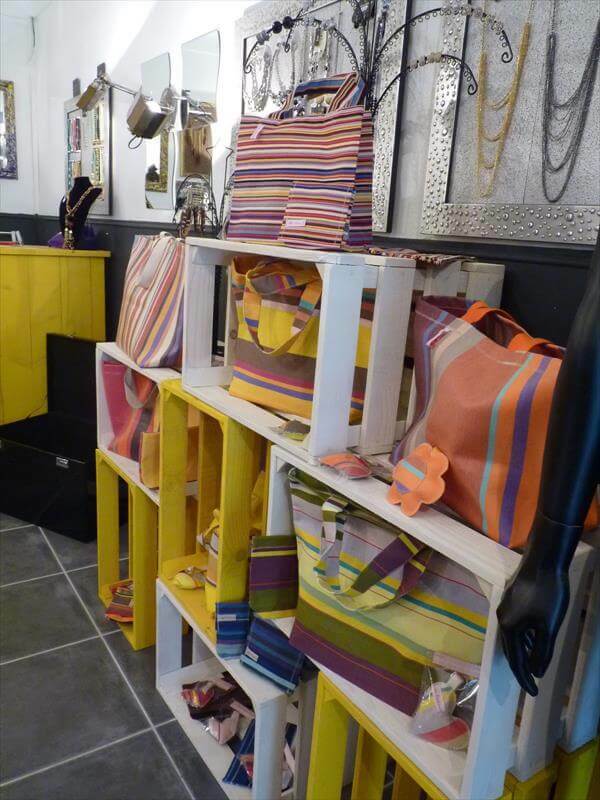 By staining a wooden crate, attaching it to a wall and adding 2 hair-pen legs you can have a display shelf/table of your very own. 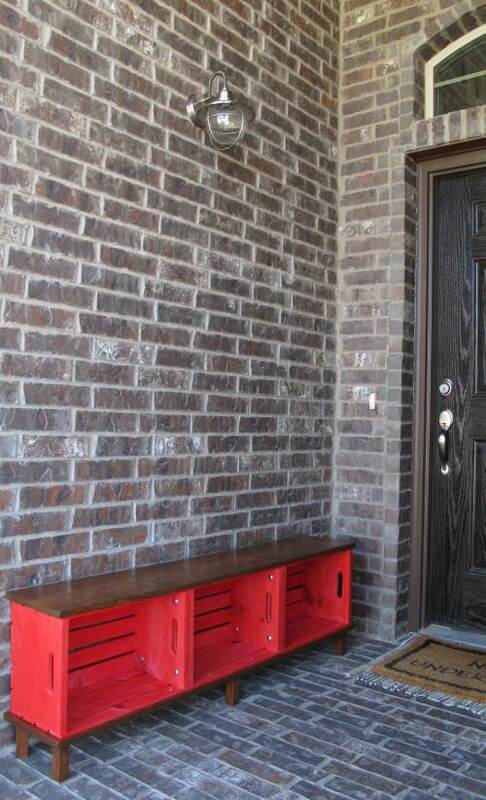 This attractive bench is build using 3 wooden crates and whitewood board; perfect for an entry area or mudroom. 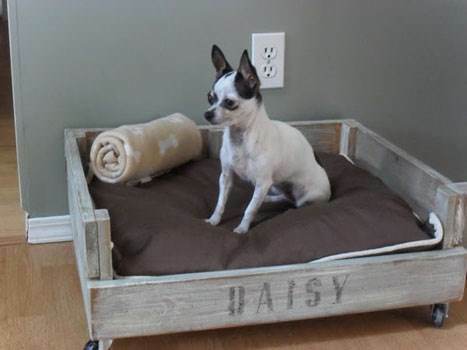 You can add to your homes decor with a pet bed made out of a wooden crate with four legs and a comfy pet mattress. 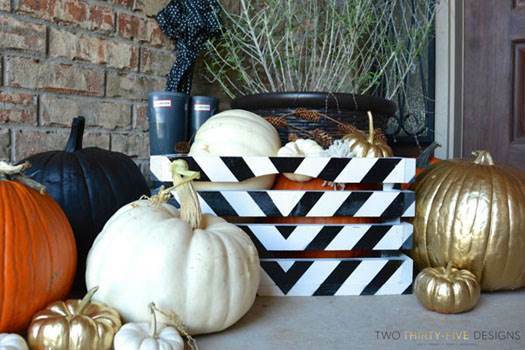 This plan takes a store bought crate and turns it into a colorful addition to fall decoration using black and white paint. Here are instructions on how to add legs made for pipes to a crate for a table that can fit neatly in any room of the house. Create two shelves using one crate and one piece of board or a tall shelf unit by stacking crates and adding a shelf to each. 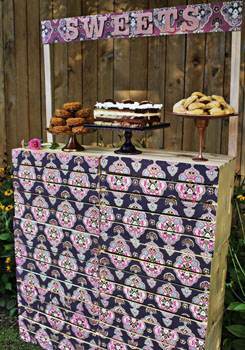 Decoupage six wooden crates with paper in your favorite design and colors to create an outdoor serving and display area. 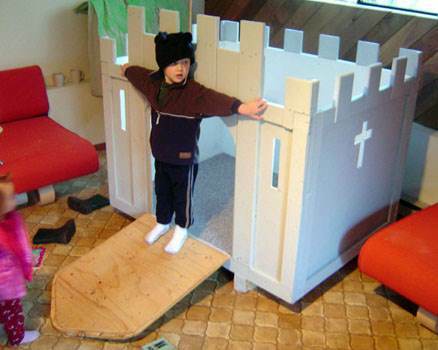 Use this plan to build a fun fort for kids out of two packing crates, 2 x 4's, some cedar shakes and a few other materials. 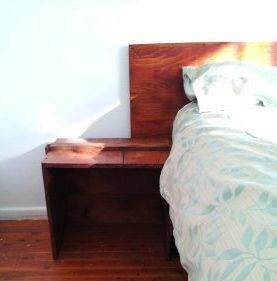 This project takes an old crate and with a little paint paints a design then clears for a unique occasional or side table. 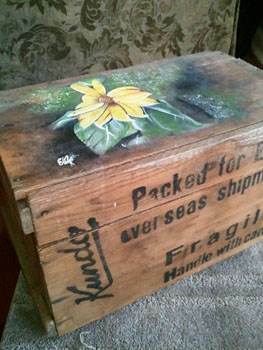 Make an awesome coffee table using a handsome shipping crate to add rustic style to your family room or den. This plan turns a vintage soda crate into an ottoman with storage for a unique piece to rest your feet on. 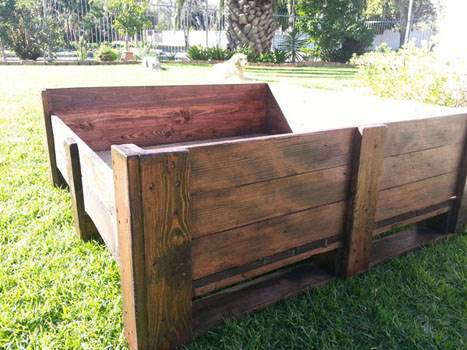 Re-purpose a wooden shipping crate by making it into a large outdoor planter for a great addition to a lawn, garden or patio. This plan is easy on the pocket book as all it requires are two soda crates and four wooden legs plus some hardware. 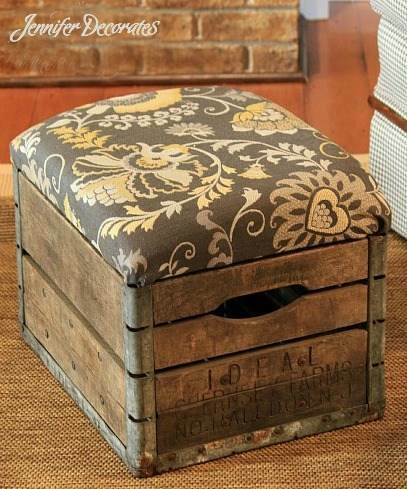 You can easily create a ottoman out of an old wooden crate with just a few supplies and a little time. 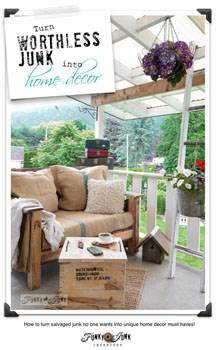 Crate boxes make excellent and stylish tables for indoor or outdoor living. 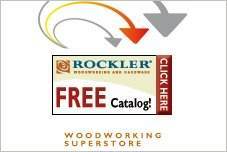 Here are simple instructions on how to create one or more for your home. 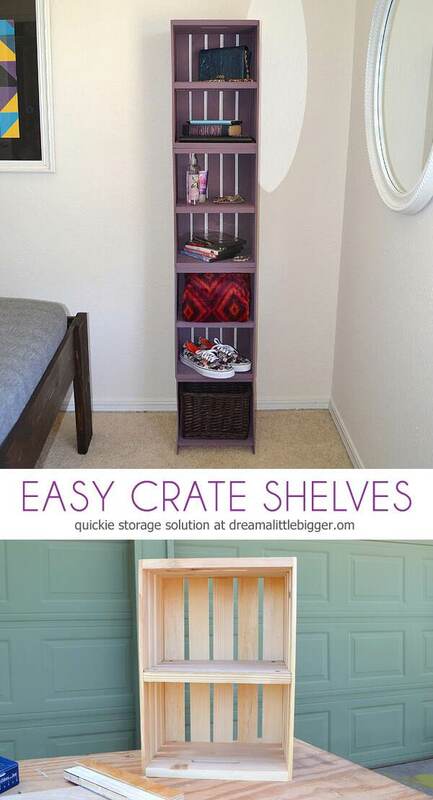 Give more storage to home or work by painting and stacking wooden crates. This project will help you to get started. 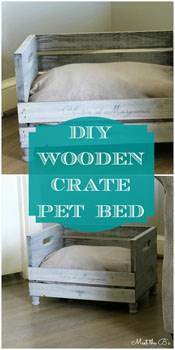 Take an old wooden crate and using this easy to follow plan turn it into a dog bed that your pet will feel comfy in. 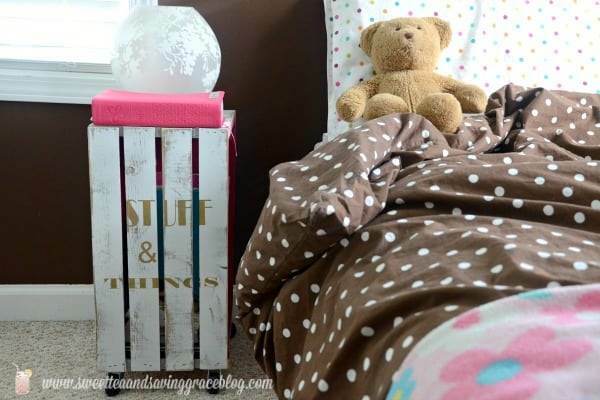 A plain wooden crate and some metallic gold spray paint come together to make a bedside table for a kid's room or teen's bedroom. 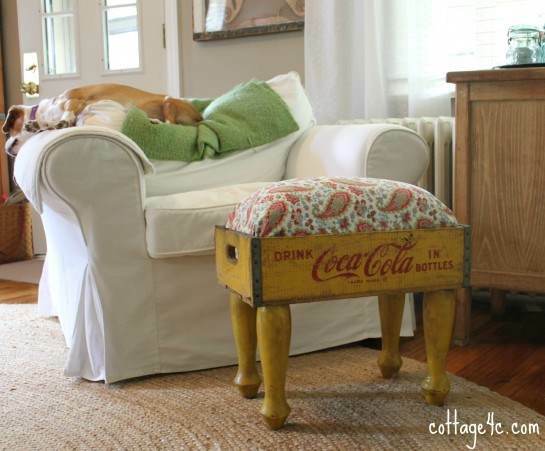 Follow this plan to turn a soda crate into a footstool by adding four wooden legs and a stuffed fabric. 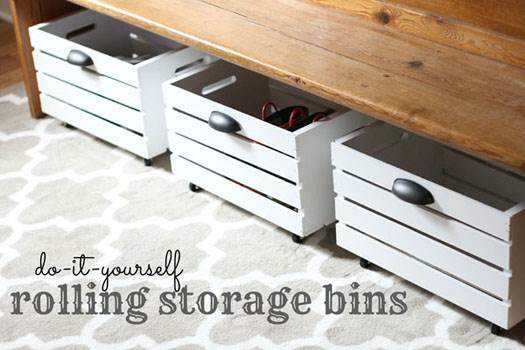 Just by painting a wood-crate then adding four wheels and a handle you can make one or several attractive storage bins. 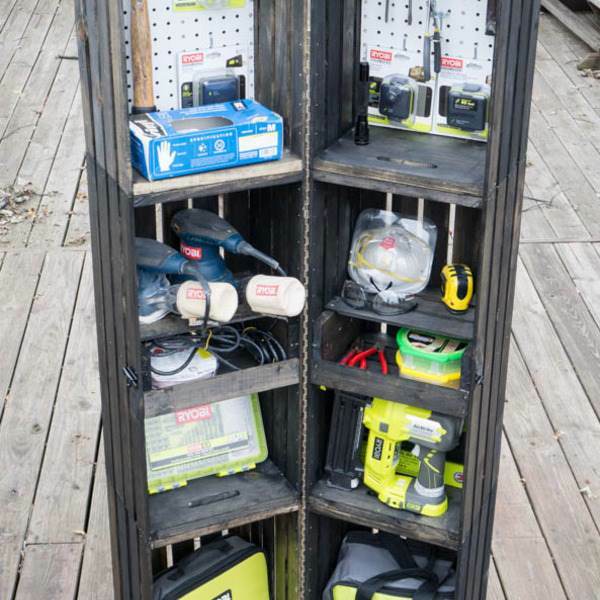 Here is a simple plan for a mobile storage locker for storing hand tools in the workshop, tool shed or garage. Decorative metal brackets hold a raw, stained or painted crate for unique shelving for the bathroom. Re-purpose a crate and wooden picture frame using this easy to follow project for building a white-washed cabinet. 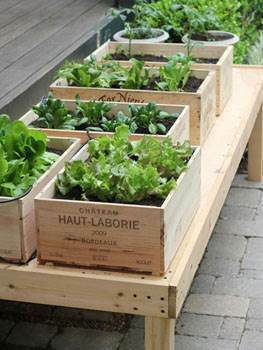 Here are instructions on how to turn wine crates into a small-space veggie garden with little time and effort. 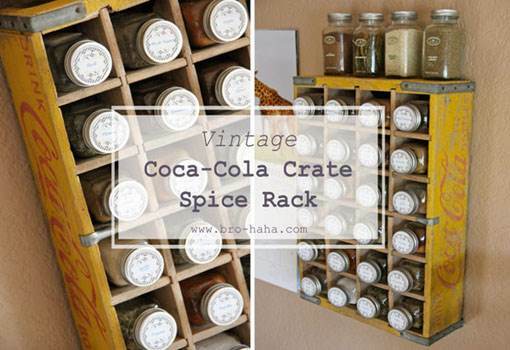 Re-purpose a soda crate by simply turning it into a wall-mounted spice rack by adding jars with labeled lids. Build a custom feeding station that will make drinking and eating easy on your pet by following these step by step instructions. This pet crate on wheels is built entirely out of 1x4's, then painted and the pet's named applied to the front. 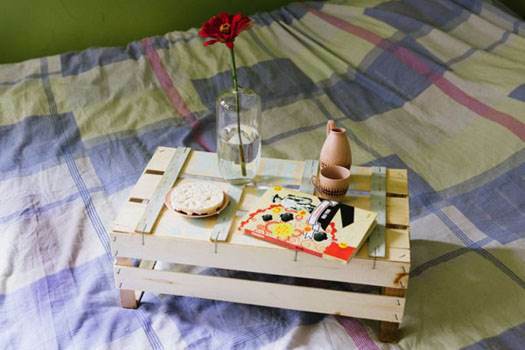 This step by step plan with illustrative pictures will help you build a bedside table out of crates. 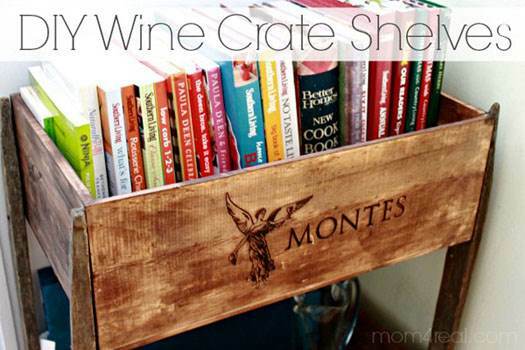 You can make extra storage out of a wooden wine crate and a few pieces of lumber, just follow the instructions found here. This plan takes a Clementine crate and turns it into a stool that has many functions such as footstool, stepstool or a child's seat.